The transcontinental exchange of cannabis is not entirely a modern economic phenomenon; our ancestors took to the task almost 5,000 years ago while making their forays into Europe. According to a collaborative research by scientists from the German Archaeological Institute and the Free University of Berlin, the ‘pot dealers’ in question here pertain to a nomadic group from the steppes known as the Yamnaya. Hailing from what is modern-day Russia and Ukraine, these people brought forth a plethora of advancements to Europe, including metalworking, horseback riding and the application of wheels. However, additionally they also packed their ‘luggage’ with cannabis, thus making them the first drug-dealers in history who controlled a nexus across the Eurasian continents. For the study, the researchers had to painstakingly analyse the archaeological and paleo-environmental records of cannabis fibers and pollen that were spread across the expansive Eurasian landmass corresponding to a lengthy time period. Interestingly enough, they found out that cannabis as a herb didn’t was not domesticated in a particular region, but rather was used in Europe, Central Asia and East Asia almost during the same period – almost 11,000 years ago. However, while the Eurasian populace showcased a sustained rate of cannabis usage, their Eastern Asian counterparts had a more phased relationship with the herb, as suggested by the scarce archaeological records. 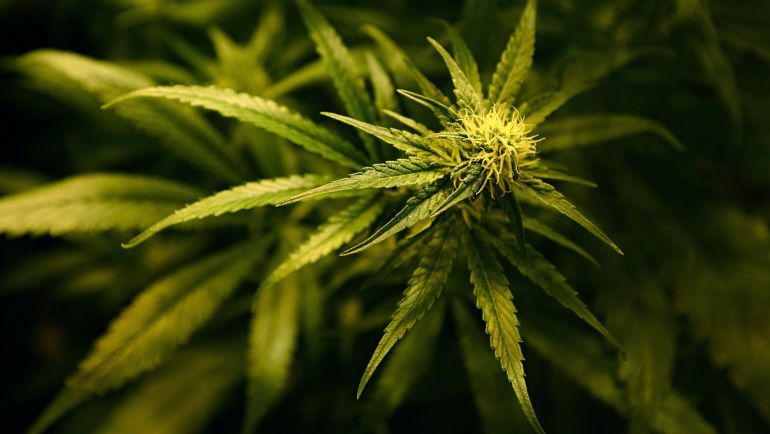 But the records also suggest that the entire scope of using cannabis substantially changed around 5,000 years ago – encompassing the Eurasian landmass. By this epoch, the rate of usage in East Asia steadily increased – which rather suggests greater availability of the ‘crop’. This in turn alludes to how the herb was exchanged over an expansive geographical region that connected Europe and Asia. To that end, the researchers believe that the Yamnaya nomads, along with the neighboring Botai, made use of their equestrian skills to cover large distances on horseback. This mode of faster transportation facilitated the exchange of goods and commodities between the communities across Eurasia, which also included cannabis. This ambit naturally brings up the question – were the ancient varieties of cannabis (or related marijuana) used mostly in a recreational manner like their modern-counterparts? Well the answer is a bit complex, given the sheer versatility of the cannabis plant. In that regard, the ancient people might have used the herb as food, medicine and even for making ropes. These functionalities were obviously complemented by the psychoactive properties of the plant. Simply put, the mild hallucinogenic scope of the herb did play its part in the various ritualistic processes initiated by the Eurasian inhabitants (including the Yamnaya). After the burial..they set up three poles leaning together to a point and cover them with woolen mats…They make a pit in the center beneath the poles and throw red-hot stones into it… they take the seed of the hemp and creeping under the mats they throw it on the red-hot stones, and being thrown, it smolders and sends forth so much steam that no Greek vapour-bath could surpass it. The Scythians howl in their joy at the vapor-bath. Archaeological evidences rather support such ‘trippy’ scenarios, with one particular find pertaining to a burial of a warrior who had his head drilled – possibly to counter its swelling. He was accompanied by a cache of cannabis for a good smoke even in his afterlife. And beyond just burial rituals, smoking pot was possibly a favorite pastime of the nobles within the Scythian society. 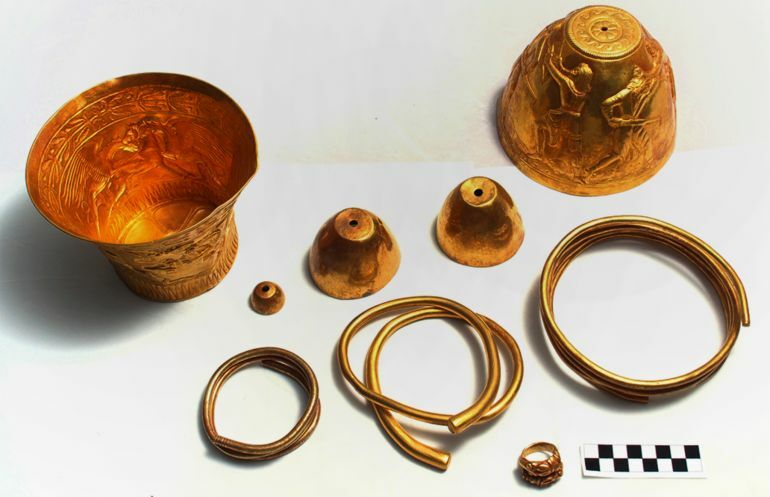 To that end, back in 2015, Russian researchers came across solid gold ‘bongs’ with exquisite craftsmanship (pictured above), inside a kurgan mound located in the Caucasus region. Finally, harking back to the epoch of the Yamnaya, about 5,000 years ago, it should be noted that the transcontinental exchange of cannabis was just one part of the economic scope of that era. To that end, the Eurasian zone also oversaw the exchange of a range of other commodities and crops, including millet, wheat, barley and horses. The study was originally published in the journal Vegetation History and Archaeobotany. An ‘opulent’ shipwreck off the Colombian coast may be valued up to $17 billion!